Every indoor place has to be cleaned and taken good care of regularly. However, in order to provide the place with ideal cleanness and also to make it much easier to maintain clean, you should clean it deeply as well every once in a while. Deep cleaning is the best approach to perfect hygiene, which brings comfort and shortens the time spent on cleaning on a regular basis. To clean your home or office thoroughly, it really takes a lot of time, in order to take care of every detail in the place. Using deep cleaning services is the easiest and most effective way to enjoy an extremely clean indoor space. 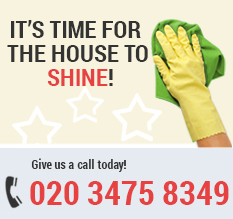 We are a professional cleaning company, located in London. We have been working within the cleaning industry for many years, gathering experience and making sure every single client of ours is pleased with our work. London Home Cleaning have become one of the leaders on the market with thousands of clients that we regularly satisfy with our professional cleaning services. Deep cleaning is a way to have your entire place cleaned and taken perfect care of. Deep cleaning includes areas that are hard to access, such as below furniture, inside cupboards, etc. We offer low prices that can fit any budget easily and don’t affect it in any way. At the same time, we guarantee high-quality and excellent results. We have trained a team of motivated cleaners, who can cope with every task quickly and efficiently, making the whole place as clean as new. All of our cleaners are experts, who always perform their work in the most effective and professional way. To make sure we do our best to protect the planet, we clean using ecologically-friendly detergents, that are also safe for the health of your family, including young children and your pets. 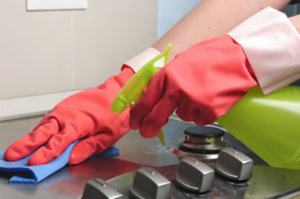 Our deep cleaning services are available to order every day of the week, including on holidays. Call us now and we’ll make an appointment that suits your schedule completely. For more information, you can contact our customer support centre, which works every day as well.